1. Financial Planning. 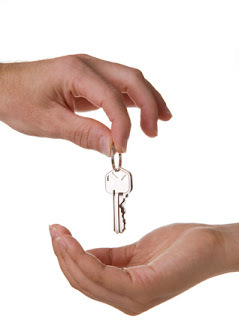 An important key in buying property. 2. Area / Location selection. 3. Finding the Right property & cracking the deal at Right time. 1. Financial Planning: An important key in buying property. Check cash / deposits available with you. Talk to your Banker / Home Loan provider about your loan eligibility based on your annual income. Do check before hand what all documents are required for loan processing and disbursing i.e. all the documents required to completely close the deal. Note that various documents are required by Home Loan provider at various stages of loan processing/ disbursement. Make a list of such documents and assess whether they can be obtained. Make you annual expenses plan which should include your annual income from different sources, EMIs, etc. Note that you may need some money for urgent expenses like medical etc. Do not borrow beyond your limitation. Financial tension is worst thing in life. While considering the total costs do include Stamp Duty & Registration Fees, expenses at Registrar’s Office, Advocates fees/ charges, Realtor’s commission, etc. Do ask your realtor/ Agent: How much will be Stamp Duty, Registration Charges, Advocates fees, Realtor’s Commission (it is generally 1% of sale value), charges to Society/ Builder, any other hidden charges. Will there be any charges to be paid to service provider’s like Electricity Authority, Water Supply authority etc. due to change in ownership? If looking for a Home Loan, do some home work about Home Loan interest rates. If you have a good track record with your Banker, you may in some cases negotiate the rate of interest with your Home Loan provider. If the property is an old/ resale Flat, have a close look into the physical condition of the flat, if the flat requires some Repairs / Renovations, estimate charges of the same beforehand & also consider as to what are your priorities. Take a fair idea about prevailing prices of properties in different areas. Talk to few other realtors working in those areas. Browse through the internet. It will be helpful to know about the area and their prevailing prices. Consult your friend or relative or any other known person who stay in that locality. If the area is new or unknown to you, visit the area frequently along with your family. If possible, try doing some shopping in that area. Dine at the local restaurant. Spend some time in Public places like Gardens, etc in that area. A skilled Property Consultant can provide you various options in the locality which fits into your financial budget. a) Is the property new or old? b) Is the property is vacant or occupied? c) What is the ratio of Super and Covered area of the flat / society? d) Is there any loan against the property, if yes, the loan amount, name of bank / institution from where the amount borrowed and the process to clear the loan including time duration. e) Who, how and when the loan will be cleared? f) What is the rental value? g) What was the price of the same house / flat sold last year in the same area? h) Within in how many days the payment is to be made? i) Is the property owned by an individual / joint / firm? j) What is the ratio of payments to be paid? This ratio may vary depending on type of property and also varies on seller to seller. k) Number and type of car parking(s). l) Is Power Back available. Please note that a minimum of 15,000/- per KV is being charged towards Power Back-up by the Builder. m) If the property is under construction / not yet registered, as per the prevailing market practices the Builder charges about Rs. 500– 1000/- per Sq. ft as Transfer Charges. (The legality of charging such transfer charges is a different aspect) Get the same clarified, who will bear the cost. n) Club charges: In some of the complex, the builder demands club charges whenever there is a change in ownership. o) Find what is the rate of monthly maintenance charges in the Society? This is also equally important because it’s your recurring expenditure. Offer and counter offer is the only way for a good negotiation. However, a skilled and genuine Property Consultant / Broker can guide and help you in negotiating the right price. A good Property Consultant can neither provide you a property at cheaper price nor can sell your property at a higher price. He is always concerned for the benefit of both Buyer and Seller. If the property consultant happens to speak only from the point of view of the seller, do not trust him/ change him. Generally 30 – 45 days time is given to Buyer to make the complete payment of the Sale value. Even if you are not opting for Home Loan, it is always good and advisable to get a Search Report / Legal verification or scrutiny of various documents including the Title Deed done through a competent advocate. It will cost just Rs. 2,500/- to Rs. 5,000/- only. 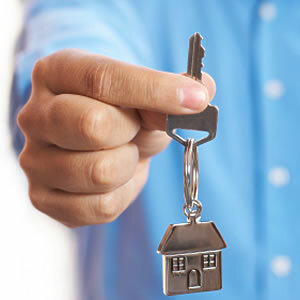 Before you purchase a flat, you have to have a title and document search conducted by a competent advocate. You cannot do it yourself. You have to use the services of a competent advocate. It is a professional job to be done with professional assistance. Do take Xerox copies of all the documents at the time of entering into agreement. 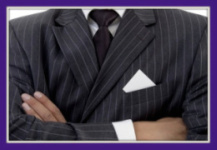 Do not hesitate in asking a copy of the ID proof of the person with whom you are entering into Agreement to Sell. Business is Business. Do not rely on personal reference. Documentation should be perfect. Get the documentation done from a competent Advocate only. No compromise should be made on legal formalities. If you are buying a flat which is under construction, you need to take extra precautions. Generally, you may be bound to borrow loan from the same Home Loan provider from whom the seller has already taken home loan and mortgaged the property. Otherwise, the Seller must clear his Home Loan and get the title deeds from Bank to enable you to take Home Loan from other Loan provider. b) Receipt of Registration (original for collecting the Title Deeds later). Generally it may take about a week’s time to get the Original Title Deed from the date of Registration. e) No due certificate from the Society / Builder. f) Past Electricity / Water bills / Maintenance Bills and receipts, if any. g) Keys of all doors. h) Car Pass / stickers to put on your car. i) Any memberships cards / pass. j) Flat should be in vacant and peaceful possession. k) Do meet your neighbors and let them know you bought the flat and you are the new owner of the flat. l) Intimate the Society / Maintenance office your contact details. Hope this information will help you buy your Dream Home soon! Thanks a lot for sharing such a precious information. It helped me a lot to understand documents in property. How many days does a title search take ? Nice point raised "Do not borrow beyond your limitation". To be honest it is always advice-able to buy a flat outright than buying one borrowing money. Have literally heard horror stories from EMI payers. On longer run it starts becoming very painful to many who do not plan well. We are grateful to you because your posts really helpful for those persons who are Buy flats in Mumbai. Very good information for first time buyers! Thanks a lot! !